I consider myself a Christian in the sense that I am a disciple of Jesus Christ but more specifically, I am a student of Messianic Judaism because I believe that discipline represents a perspective on the Bible, the Good News of Messiah, the New Covenant, and Israel that is scripturally sound and that describes the Bible as the single, unified expression of God’s desires, intent, and plan, first for Israel, and then, by Israel’s light, for the rest of the world. And yet, to do that, I have learned to accept a few things that other people, that is, Christians, don’t like. I accept that the New Covenant was made exclusively with the House of Israel and the House of Judah (Jeremiah 31:31) and not with humanity in general. Further, I accept that when God, through the prophet, says “the House of Israel and the House of Judah,” He is referring specifically to the physical descendents of the Israelites who stood before God at Mt Sinai and accepted the covenant relationship between God and Israel (Exodus 20) in perpetuity (Jeremiah 31:35-36), who are today the Jewish people, and that the eternal inheritance of the Jews is the nation of Israel, which we have with us now. 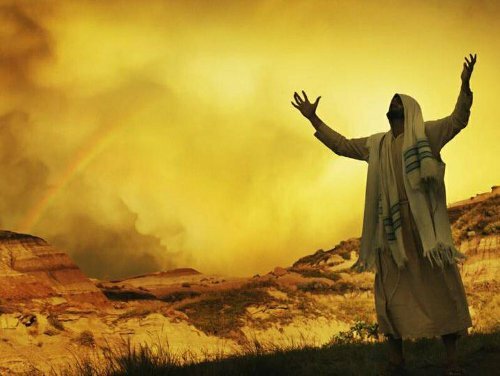 I accept that the Gentiles are to be attracted to Israel as a light (Deuteronomy 4:5-8, Isaiah 49:6) with the strongest light being King Messiah, Son of David (John 8:12) as God’s emissary, agent, and deliverer of the promises God has made, causing the New Covenant age to be inaugurated with his death and resurrection, that the Jews might believe God will deliver on His promises to them, and that the Gentiles might be grafted into the blessings of those promises, taking the fringes of a Jewish man and going with him, for God is with him (Zechariah 8:23). I’ve heard it said that the Jewish man in question is not just any Jewish person, but specifically is Messiah. That we from the nations approach God and His holiness by attaching ourselves to Israel through Messiah and going up with him to Jerusalem, to the House of Prayer for all the peoples (Isaiah 56:7). So what’s wrong with all of that? Apparently, plenty. From a Christian’s point of view, which includes some in the Hebrew Roots movement who say they disdain the Church, God made a covenant with Israel at Sinai that had effect and potency until the birth, death, and resurrection of Jesus. Then everything changed. The Jewish people no longer were automatically included in the Sinai covenant (although the Abrahamic covenant remained in force) and in order to re-enter a covenant relationship with God, they had to enter into the New Covenant, represented by a brand new entity wholly divorced from Judaism called “the Church”. From Christianity’s point of view, this means Jewish people remain Jewish but must surrender Judaism and convert to Christianity, along with the Gentiles, and live, for all intents and purposes, a Gentile Christian lifestyle free of “the Law” and solely under grace (as if the two are mutually exclusive). There must be absolutely no distinction between Jew and Gentile in the Church. But the Messianic Judaism I study and adhere to has a different perspective, one that recognizes a specific distinctiveness between Jews and Gentiles within the ekklesia of Messiah, such that each group in the body serves different, although sometimes overlapping functions. 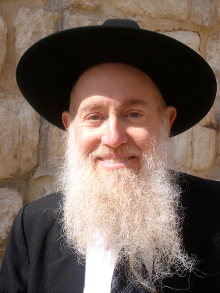 I accept, for instance, that it would be inappropriate for me to claim an obligation to don tzitzit and lay tefillin when praying, to keep kosher in the manner of the Jews, to observe, in the present age, a Shabbat, and to say that it would be a sin if I did not perform any of those mitzvot. That isn’t to say, especially being married to a Jewish wife, that I’m forbidden to keep kosher or observe the Shabbat (though at present, I only keep “kosher-style” and both my wife and I have elected to work on the Shabbat — may the day come when our observance is more faithful). I even know Gentile Messianics who choose to don tzitzit and lay tefillin privately in prayer, but who do not declare that they are obligated to do so. I also accept that the New Covenant was made only with the Jewish people and that my only access is through faith in Messiah, not because of any inherit worth I have ethnically or nationally as a non-Jew. My understanding of the Jewish covenant relationship with God is that it extends continually from Exodus 20 forward in time and into the modern age. While Jesus inaugurated the New Covenant with his death and resurrection, getting the ball rolling, so to speak, it won’t reach any sort of fruition until his second coming, when he destroys all of Israel’s enemies, making the Gentile survivors vassal nations under Israel’s sovereignty, and establishing a unprecedented world-wide reign of peace. Then the Jewish people will be restored to their Land, to Israel, and the Gentiles who are called by His Name will come alongside Israel and serve her King, for he is our King, and worship God on the Temple Mount. One day, God will forgive Israel’s sins, and the Jewish people will make teshuvah and return. Israel will one day say “Blessed is He who comes in the name of the Lord” and on that day, the Gentiles will join with Israel at feast of Abraham, Isaac, and Jacob (Matthew 8:11). Does that make me and all the non-Jewish disciples of Messiah who study Messianic Judaism into second-class citizens in the Kingdom of God? To be honest, there are days when I think so. I suppose it’s my innate attraction to Jewish worship and scholarship that periodically has me longing to be able to join a minyan or to be called to the bema for an aliyah (not that I speak or read Hebrew). 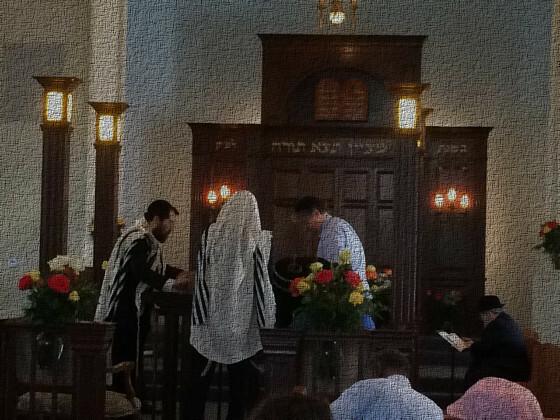 I sometimes see Jews in Messianic synagogues worshiping and praying the prayers and wish I could be a part of them. Sometimes I feel I should leave any sort of affiliation to Messianic Judaism behind and just keep my peace silently, communing only with God, because I feel I can never truly be part of Jewish people in Jewish community. But I don’t fit in at church either, so that cannot be my sole connection to fellowship. Also, I must admit that any issues I may have feeling any disconnection with Messianic Judaism are my personal issues and hardly the fault of Jewish needs or requirements in community, since after all, the “chosenness” of Israel is a decision of God, not of man, and I must obey God before the will of any human being, even (especially) my own will (Acts 5:29). That is why I call myself a “Messianic Gentile” and choose to study within a Messianic Jewish framework. That is why it is OK, even if I am a “second-class citizen” (which I’m actually not), because my citizenship is in the Kingdom of God, among the ekklesia, both ancient and modern, in the tradition of every Gentile who has ever come alongside Israel because we have heard God is with them, from the days of Moses to the days of the apostle Paul. Rashi explains that the key reason for Korach’s rebellion against Moshe was that he was envious of another relative who received honor while he didn’t. If I were to allow envy of the obligations and privileges of the Jewish people in the Messianic community to affect me, I would be as Rashi characterized Korach and his band: rebellious. May it never be. Rabbi Pliskin’s Torah commentaries speak more to me about my own state as a Gentile studying and learning within a Jewish context, being attached to but not the same as the Jewish co-participants in the body of Messiah. In Part Two of this series, I’ll discuss more of my perspective using R. Pliskin’s missives as a foundation. For more on the Korach rebellion, which was last week’s Torah portion, read “The Importance of Unity” at ProjectGenesis.org. I love the phrase, “Oneness is not sameness.” This resonates within the Christian church as well. The understanding within a traditional Christian church is that all are members but some are called for preaching and teaching. Oneness in membership, but not sameness in position or calling. We are all one body but different parts. Unfortunately the traditional Christian church stops short and only carries this ideology with its boundaries. I find myself identifying with this post that I am part of God’s kingdom along with His chosen, Jewish people. However I am not the same. I do not have the same role. I find it empowering to know that I have a role, but I do not have to force myself into a role that isn’t meant for me. I feel more at home. Since the Church already has an errant concept of who they/we are within God’s plan of redemption–within our own religious structure–there’s no possible way that they/we will be able to perceive our identity and role when exposed to a Jewish environment of worship. I was thinking along the same lines reading last weeks portion as I wondered, and hoped, that perhaps some of those inflamed with jealousy would see it too, and repent. I don’t know why that idea has never occurred to me, but I can clearly see how that could happen. Wow, that is a breath taking idea to comprehend. The idea never occurred to you or most other believers because it’s never taught in church. In fact, it is a radically different way of re-imaging how the return of Messiah will develop and the ultimate result of establishing the Kingdom of God on earth. Christianity as a whole believes “the Church” is the central entity in God’s plan, even though the Bible clearly states that Israel has centrality. That’s why so many churches preach that the Church is “spiritual Israel” in order to replace Israel in the New Covenant promises. However, taken at face value, while the people of the nations still enjoy vast benefits and blessings from the New Covenant, we only so so by being grafted into the ekklesia of Messiah by faith and grace. Not that you were intending to “lump me in” with “the church,” but I definitely do not think the same way. I am fairly new on my Messianic Gentile/Jewish journey. After 30 years of traditional Christianity, it’s been less than a year realizing that ideology is wrong. 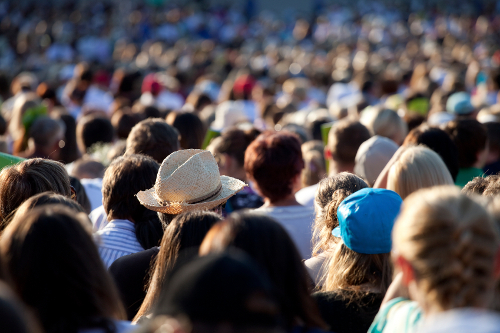 In the last year, I’ve often wondered how “the church” will react when the Messiah returns. I’ve just made the assumption that the majority have a love for him, even though misled at the moment, and they will “auto correct” quickly. The idea just had not occurred to me that he would be considered an anti-Christ to those that are stuck in the replacement theology vortex. Sorry to “lump you in.” It was unintentional. A cosmic “auto-correct” would be nice, but I don’t think that’s how God works. Yes, He will write the Torah on everyone’s heart so we will know God and not sin against Him, but I think we have to we accepting of Messiah and willing participants of the plan. I think when Messiah comes, we’ll be responsible for recognizing him, which is why he told us what to look for and how not to be fooled. (Matthew 24:23-26 for example). Well James, you know I don’t agree with you on much of what you teach. If you only want comments that agree with you, just delete this one. Yeshua said his sheep know his voice, know him, are known of him. He said all would see him as he returned. I can’t find any scripture that teaches anyone will be confused about who he is when he returns. Israel and the nations will see and mourn. The confusion about who is Messiah is a current phenomena, but then everyone will know. Many shall come in my name and decieve many seems current since the left. Many anti-Christs from then until now. I think there will be no doubt of Yeshua Messiah when he comes in the clouds with tens of thousands of his saints. I don’t require that all people commenting necessarily agree with me, I just want to avoid trolls and people who personalize conflict. As blog owner, I have a responsibility to manage the commenting environment so it doesn’t turn into name calling and people sniping at one another. It’s happened plenty of times before, and I won’t contribute to it. Anyway, why would anyone be confused about who Yeshua (Jesus) is when he returns? He must have anticipated such an occurrence, otherwise, why (as I said below) would he make a statement such as the one we find in Matthew 24:23-26? That is, why would he have to tell the apostles (and us) to not go after every rumor of the Messiah’s return? That’s why we study the Bible and nurture our relationship with the Master, so we will recognize his voice and realize who he is upon his return. Unfortunately, there are so many Christians who have been taught to be “Church-centric” that should events happen differently than described by Evangelical Pastors, should ‘the Church’ not be whisked away into Heaven as advertised, if Messiah establishes himself on the Throne of David in Jerusalem and the Messianic Kingdom centers around Israel and not “the Church,” I think a lot of Christians are going to be confused. I think they will experience significant dissonance between what they were taught and the reality of a Jewish Messiah King. That’s why I call myself a student of Messianic Judaism and why I try to communicate my humble insights…in the hopes of preparing the way and dispelling misinformation that replaces Israel with the Church. We need to be ready. I hear what you are saying James, so I will not get into argument. I will limit myself to one more comment today on your blog. I would suggest that while you communicate the hope of dispelling misinformation that replaces Israel’s physical distinction with the Church, you don’t replace the Church with physical Israel. Yeshua said “I will build my Church” and he was speaking of something that had not existed yet and was spiritual. I agree that the ekkelsia (which doesn’t directly translate as “Church” since the word “Church” wouldn’t exist for many centuries after the Bible was canonized) of Messiah was a new thing in the sense that Gentiles would join the Jewish community without having to undergo the proselyte rite and convert to Judaism, but it was hardly unanticipated, since the New Covenant language and other prophecies presuppose Gentile worship of God, including offering Temple sacrifices, and even participating in the return of Jewish exiles to Israel. Where we may part company is that I don’t believe the ekkelsia was constructed to be totally disconnected from Israel, but rather, was the next, logical, Biblical step in Jewish devotion to God, one where Israel could fulfill its destiny to be a light to the world through its greatest light, Messiah. I believe I described my point of view on this in the body of the blog post above, so I won’t repeat myself here, but based on the way I read the Bible, the creation of the ekklesia of Messiah wasn’t to “pull the plug” on Jewish devotion to God and force them to reattach to Him using a different religious paradigm, it was to fulfill God’s promise, by starting to bring Jews and Gentiles together in a single body so that faith in God through the good news of Messiah would spread to the rest of the world, and we could all then do God’s work in preparing our world for Messiah’s return. Maybe I’m just naive, but why do people have problems with this? Jews can be Jews in Messiah, and Gentiles can be Gentiles. Scripture does say that salvation is to the Jew first, then the Gentile (Romans 1:16) and that we Gentiles are “grafted in” (Romans 11:17) to the Jewish tree. Soooo…yeah. Why would anyone have a problem with that? Seems pretty clear. I think some people object because it seems to add a layer of separation between us and our relationship with God by saying the New Covenant was made with Israel and Judah (Jeremiah 31:31) and the only way a non-Jewish person can benefit from the covenant blessings is by faith in the Jewish Messiah, that is, Jesus. I’m not saying this eliminates any requirement for Jewish faith and fidelity in Messiah, but we have a “grafted in-ness” while they are the natural branches. I don’t think we are always taught in church the full meaning of those roles, Marie. Thanks for expressing this more clearly here. You refer to gentile believers as benefitting “from the covenant blessings” rather than the gentiles entering the New Covenant. I don’t see there’s a great distinction, apart from the fact that the gentiles weren’t party to the older covenant that is being replaced; so the NEW aspect of the covenant is different to both Jew and gentile. To the Jew it is a better, updated Covenant – to the gentile it is “new” as in something not known or experienced before. And yes, the gentile is grafted in to something he/she is not naturally a part of, and that grafting comes as a result of faith in the Jewish Messiah. My understanding is that the Sinai Covenant (“If you obey me, I will be your God and you will be My people”) was accompanied by the conditions and terms of the covenant (what Israel was supposed to do and what God was supposed to do and the consequences for failing in obligation) which are the specific Torah commandments. Looking at the language of the New Covenant, they didn’t come with new conditions, that is, God didn’t replace the Torah with anything. What changed was the “material” the conditions were to be written on. Instead of tablets and scrolls, the conditions, God’s laws, were to be written on the heart. By infusing all humanity with His Spirit (Spirit upon all flesh), God will make it possible for not only Israel, but all humanity to obey Him without sin in the Messianic Kingdom. The question, given everything I just said, is whether or not in Messianic days, the Gentiles will be obligated to the same Torah mitzvoth (commandments) as the Jews. Given Acts 15, I’d say not, but on the other hand, there is language in the prophets (Isaiah, for instance) that speaks of the whole world observing the Sabbath, new moon festivals, and the annual feasts, so it would seem in those days, we’ll all look a lot more “Jewish” than we do now. What makes the New Covenant better is that once God finishes writing his laws on our heart, we will naturally be predisposed to obey Him without struggling with failure. James, in those days of Messianic rule, the world and its systems will be very different for a variety of reasons (but an absence of sin and a predisposition to obery Him is not among them. That comes later with the new earth). I started to note down some of those differences and the reasons, but decided it would need more than a brief comment on someone else’s site, and it would take more time than I have available right now, so it’s something I’ll consider doing on my own blog later. When the true Messiah returns (after the false we’ve been warned against getting into), Steve, my understanding is, too, that it will be very clear. But there will be people who thought they were in the flock (“saved”) who were actually not and will show themselves to be too stubborn to accept how it really is. Hard to believe… but I’ve seen unbelievable stubbornness. I “wonder” why is it that translators use the word “church” when translating the greek ἐκκλησία (ekklēsia – ek-klay-see’-ah) in the New Testament, but neglect to use the same word “church” when in the Old Testament Septuagint (LXX) for example (1 Ch 13:4), the same greek word ἐκκλησία appears as a translation for the hebrew “קהל” for congregation. In other words, the term “church” is used in the New Testament and has been “coined as a new term” by translators, when the greek word ἐκκλησία is actually used in the Old Testament as well, meaning that the term “church” is not really a new term, but an “artificial” new term. James, Isince positn my previous comment I’ve gone back and read your “When Jesus Returns, Will We Go To Church” article – something I must overlooked because it had been posted on the weekend (my time). I saw you dealt with a few of the same points that are in my notes regarding the world during the Messianic age. In fact your article helped to confirm something I wanted to raise when I address it on my own blog: that there will be surviving unbelievers from among the nations entering that Messianic age. That is something that contradicts the common belief of most Christians who assume that only believers will survive to enter “the millennium” (or according to Dispensationalists only Jews who are “converted” during the great tribulation). I just wanted to be clear that the above verses seem to indicate that at the time of returning the Jewish exiles to their Land, to the nation of Israel, at the time the Messianic Kingdom is established, is when the New Covenant blessings upon the Jewish people will be realized, all their sins will be forgiven by God, their hearts will be circumcised, a fullness of the Holy Spirit will be poured into them, and the Torah will be written on their hearts such that they will follow the statues of Hashem without sin and live in peace in their Land. Here are the some of the relevant scriptures showing the people of the nations coming alongside Israel and joining her. My interpretation is that if we cling to the God of Israel through faith in King Messiah, then we too will have God’s Spirit poured out on all flesh (Joel 2:28) and enjoy the blessings of having our sins forgiven, having God’s Word written on our circumcised hearts, and also obey God in our walk with Him during the rule of King Messiah. We need not wait until after that period of time and until the life of the world to come. Of course, there will be people and nations who do not accept Messiah’s reign, who do not repent and receive the forgiveness of sins, and therefore, rebellion will still exist in the world. Considering the severity of the warfare which is to usher in that messianic kingdom, illustrated by examples such as blood flowing in Bozrah to the height of a horse’s bridle, one may well wonder how few of the originally rebellious will be among the survivors. One also might speculate that the folks in nations that are threatened with drought unless they come up to Jerusalem to celebrate Sukkot (for example) might possibly include recalcitrant former Christians who made it through the rapture but have yet to be re-educated. Never underestimate the stubbornness of human beings, PL. I bet there will still be some folks who will be hold outs. YEAH — what Alfredo said! I don’t know for sure when it started (when the church — actually something different historically from anything referred to in the Bible, while most contemporary adherents don’t know this — decided to use this kind of terminology; I could guess), but Tyndale tried to correct the nomenclature problem when he translated the NT for King James. The King, after executing (by strangulation) him, ordered subsequent translators to keep the word church (political and power reasons with him as England’s head). However, at about that time, there was a move to start using Greek and Hebrew manuscripts for the newer and older portions (instead, I suppose, of the traditional Latin translation from Catholicism) to make printing press versions in various languages. While Tyndale was bright enough to see what you’ve shared about the the Hebrew and Greek (although I’m not sure he had a copy of the Septuagint), translators since either don’t notice or don’t care, or maybe just look in English “Bible dictionaries” (with the bias built in) for their answers. I’ve looked for Bibles translated to English from the Septuagint and the Greek NT manuscripts (in one volume). It basically hasn’t been done (as far as I could tell) — until a few years ago. CORRECTION! I should have been referring to King Henry VIII — and, to clarify, “for” the king doesn’t mean the king commissioned the efforts. William Tyndale was inspired and self-motivated.